While GDP and wealth have continued to increase overall, inequality has risen in Europe – as in other developed countries – since the mid-1980s. There are now wide inequalities in the distribution of income in the EU. Today, with the effects of the financial crisis still lingering, Europe faces a monumental challenge in its effort to tackle social inequalities. Persistent and growing gaps in income distribution provide a potent reminder of that challenge. Achieving inclusive growth means reducing social inequality in multiple forms, including income distribution (a vital proxy indicator). This Policy Snapshot identifies key targets and initiatives for reducing social inequalities at EU level and highlights relevant findings from three thematically related EU-funded research projects. The European Union has good reason (aside from principle) for wanting to reduce social inequality. The case for inclusiveness was succinctly stated in a review of thirteen EU-funded research projects four years ago, as Europe 2020 was being launched: “Research very convincingly shows that egalitarian societies are associated with higher levels of economic growth and political inclusion. By contrast unequal societies experience higher rates of crime, ill-health drug abuse, and persistent poverty. Cohesion and growth objectives are therefore complementary as well as critical to socio-economic well being. Recognising these socio-economic correlations, the Europe 2020 strategy makes inclusiveness a top priority. 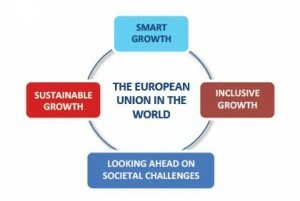 To advance the cause of overcoming social inequalities, the growth strategy elaborates two flagship initiatives: the Agenda for new Skills and Jobs and the European Platform Against Poverty. Moreover, it sets out clearly defined targets in three essential policy areas: employment, education, and poverty & social exclusion.